As recently as two years ago it was put to me that short stories are a hard, if not impossible sell. In general, readers prefer novels and their expanse; agents prefer to talk up whole and intricate narratives; publishers can brand a novel simply and with one succinct tagline and foreign publishers and foreign readers can digest, interpret and ultimately translate a story of universal suffering or hope far easier than a varied and nuanced collection of similar lessons with multiple casts of characters. If you really like a bunch of stories, then surely you can communicate that and invoke others to feel the same. Or at least you can encourage them to give the stories a chance where previously they had not been considered. I suppose at the time I decided that I could sell a collection of short stories with sheer enthusiasm, love for the genre and bloody-minded determination. Now something has changed. There has been a shift in the length of time it takes to convince someone that their life might be enhanced by reading a short story or two. Why is this easier? Is it that the work is better? No, there have been good and excellent short story writers around (especially around these Irish parts) for decades. Is it that the publishers are interested again? Perhaps. Bloomsbury has named 2012 the year of the short story (planning to publish a collection a month until May). But there is evidence that there may have already been a year of short stories: in 2009, the American novelist Eric Puchner concluded that their popularity is cyclical rather than something brand new (Arminta Wallace, Irish Times, 25 February 2012). Have agents found the way to strike a deal? Hardly. There is no end to the ways in which agents will strike a deal. And finally, as is the natural conclusive question these days, does the internet have anything to do with it? In the years and decades to come, we will decide that the internet had everything and nothing to do with the many shifts in behaviour at the turn of the twenty-first century. There is much talk now about diminished attention spans and the short story, being short, has been branded a fitting salve for this phenomenon. But there is a danger of forgetting, or never even knowing, the work that goes into creating a narrative full of perfect holes and for this reason, now more than ever, the short story must be hoisted above the parapets but defended against assumptions of simplicity and easy digestion. THE SOUTH CIRCULAR passionately believes in the short story as an enhancer of lives. We are here because we want to be. Our duty is to that passion first and then to do these stories and their authors a faithful service in bringing their work to a wide and new audience. 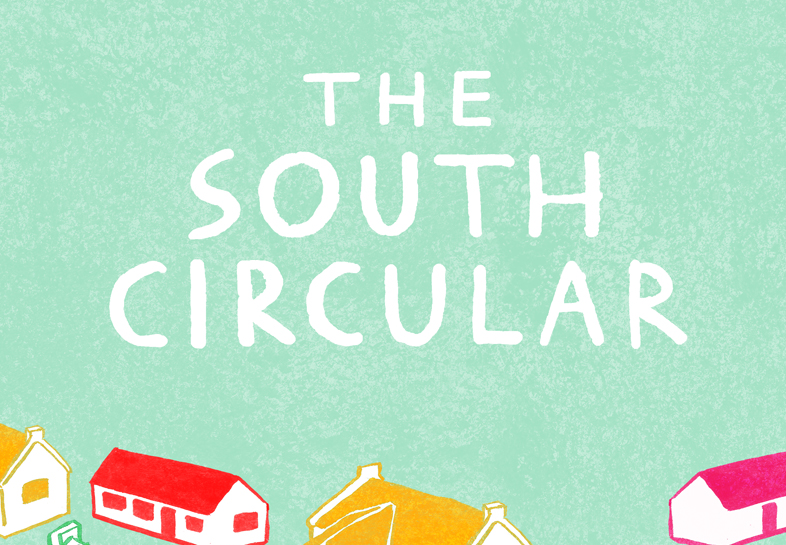 The stories we have chosen for the very first issue of THE SOUTH CIRCULAR are, we believe, examples of good short stories. Eddie Stack, Eley Williams, Shane Hulgraine and Adrian Duncan are talented emerging writers. Their stories ask much of their readers; they have created contained little worlds with astonishing logic and surprising rules; they are moments of clarity in a world clogged with junk and we think they are entertaining enough to hold your attention for just a few minutes. One of the motivators for us when we started THE SOUTH CIRCULAR was the opportunity to collaborate with creatives in industries other than publishing. Hannah Doyle of doyleydesigns.com came on board just in time to create a handsome issue and a nifty website too. And as we’ve said elsewhere before, we are absolutely ecstatic that for the cover of our very first issue, Fuchsia Macaree agreed to create something original and true to the spirit of the journal: a shared discovery. There is a song by Joanna Newsom, called ‘En Gallop’ which carries the lyric ‘… you unending afterthoughts …’ If we have one wish for the first issue of THE SOUTH CIRCULAR, it is that the stories contained in issue 1 spend just a little longer in your thoughts than the time it takes to read them. ← Issue 1 is in the pipeline!